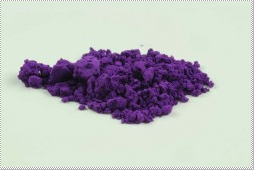 Organic mineral compounded Manganese Violet is short on talk from artists. Few have much to say about this rich reddish purple and direct compliment of Chromium Green. Manganese Violet has been around since 1868 where it was first discovered in Germany and called Nuremberg Violet. Winsor Newton introduced it to England in 1890. This purple hue is non-toxic and shows up in a number of unusual places. If you don’t wish to make use of your Manganese Violet pigment in paintings, it can always be used to make a nice non-toxic eye shadow. No eye shadow? Well, the pigment is also good for tinting hand made soap. Gardeners will find Manganese Violet is a vital mineral in the diet of African Violets but it’s not for the color of the blooms. 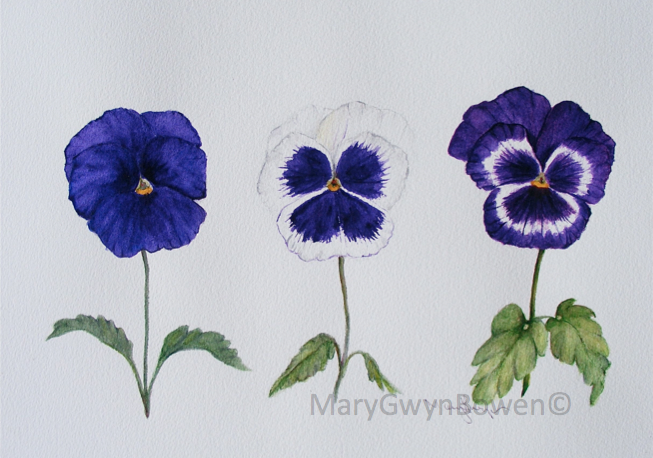 Manganese Violet is essential for the healthy green color of the leaves of African Violets. Maybe African Violet leaves are Chromium Green. This entry was posted in art, art education, Painting, Uncategorized and tagged Art, Painting, painting techniques. Bookmark the permalink. It’s sad that many artists are not familiar with or make use of this color because they’re so hung up on Dioxazine purple. Nothing against Dioxazine — it is cheaper but not as lightfast. Great information! Thanks! It is sad .